Hero I-League defending champions Bengaluru FC have bolstered their defence by signing Indian International defender Sandesh Jhingan on loan from Kerala Blasters FC. The addition of the 23 year old robust defender will add more firepower to the already quality roster of Bengaluru FC. Because of his ability to play at the heart of the defence as well as at full-back position, Bengaluru FC coach Albert Roca sounded very pleased with the Jhingan's signing. 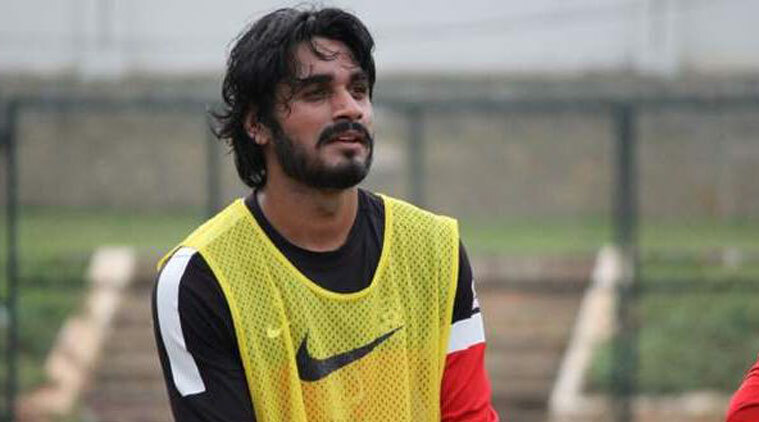 "In Jhingan, we have signed a player who can turn out as a central defender and provide cover in full-back positions. He is coming off the back of a very good ISL campaign and his introduction adds to a squad that will need his presence as we look to compete in both the I-League and the AFC competitions," said the Bengaluru FC gaffer. The former United Sikkim and Mumbai FC defender made a name for himself in the Hero Indian Super League playing for Kerala Blasters. In 2014 he was awarded the Emerging Player of the Year 2014 by the All India Football Federation(AIFF). He had loan spells with Sporting Goa and DSK Shivajians FC.